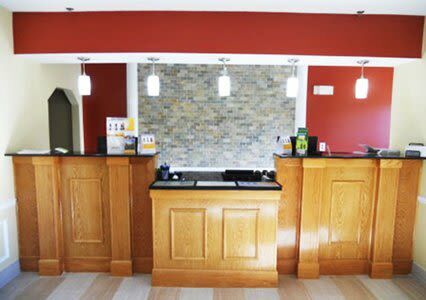 Enjoy a good night with great savings at the pet-friendly Quality Inn in Fort Payne, AL. A host of attractions are nearby, including: Depot Museum Fort Payne Opera House Desoto State Park Terrapin Hills Golf Course Lookout Mountain provides the backdrop for this tight-knit Alabama community that offers outdoor activities like golfing, camping, horseback riding, hiking, as well as fun fare like plays and festivals. After a day of fun in the area, get work done in the business center, relax in the outdoor pool and enjoy amenities like: Free continental breakfast Free wireless high-speed Internet access Free coffee Free parking Guest laundry services All guest rooms offer a 32-inch television with cable television, coffee maker, desk, microwave, and refrigerator. Some rooms feature a whirlpool. 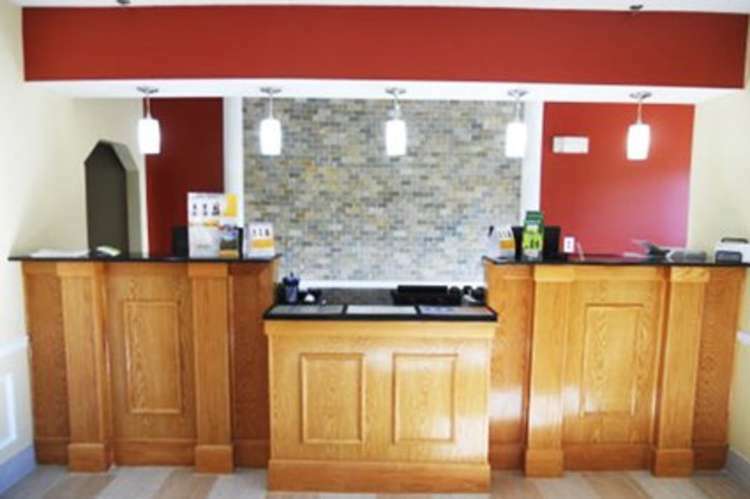 Whether you are in Fort Payne, AL for a vacation or business trip, the Rodeway Inn offers great amenities and a perfect location. Book a room with us today, our friendly staff awaits your visit!